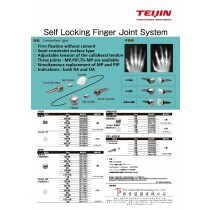 Finger joint - Artifical Joint 《TEIJIN_NAKASHIMA》 - Surgical Equipments&Implants - Product - The Industrial Promoting Co. Ltd. 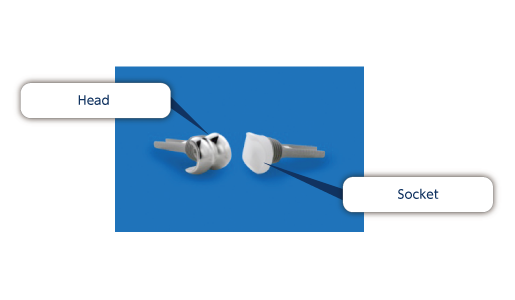 There are different kinds of joint prostheses for each of the finger’s three joint. 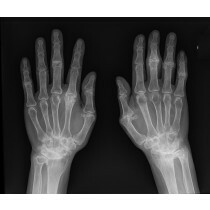 Finger joint prostheses are comprised of two parts, i.e., a distal phalanx side and middle phalanx side for DIP (the closest joint to the fingertip), middle phalanx side and proximal phalanx side for PIP (the second closest joint to the fingertip), and proximal phalanx side and metacarpal side for MP (the joints on the back of the hand). The metal head has a smooth curved surface. Finger function is reconstructed by a head and socket combination that enables surfaces of the finger joint prosthesis to slide. Teijin Nakashima Medical offers various sizes of finger prostheses suited for Japanese and Asian people.